I know better than anyone that this post is perhaps a little bit too late for some of us…our family has been hit hard with sickness this month! Luckily it stayed away until after Christmas, but right around New Year’s we all got taken down with a tummy bug, and then the kids and I followed that with a round of colds. And just when I was starting to feel better, my cold took another turn for the worst with a really nasty cough. That’s why things have been relatively quiet around here over the past few weeks! But we’re all still smack dab in the middle of cold and flu season with certainly more to come, so it’s a good idea to be prepared for illness to hit your home sometime in the next few months. (I actually had the worst cold I think I’ve ever had over the 4th of July this past summer – so it’s good to be prepared year round!) Getting sick is never fun, but taking a bit of proactive action NOW can make cold & flu season a whole lot less stressful than it could be. That way, if/when your kiddos DO get sick, you don’t have to worry about anything other than helping them feel better. 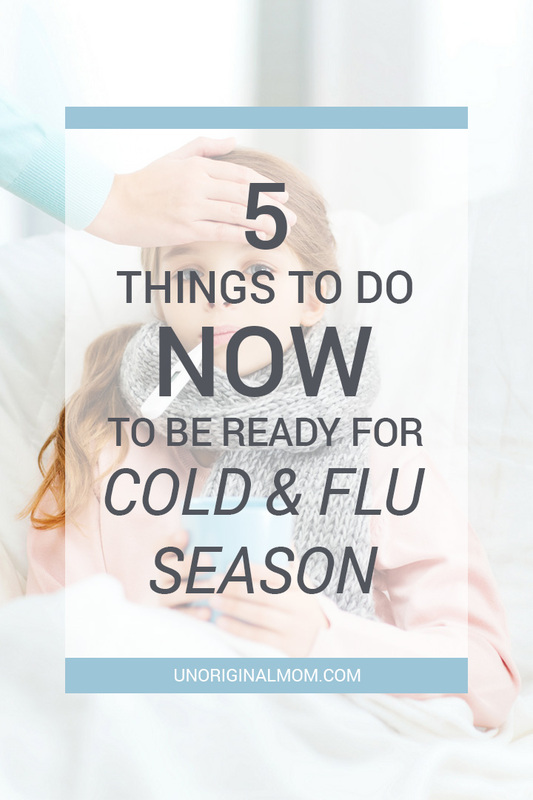 So, I’ve put together a list of 5 simple things you can do NOW to be ready for when cold and flu season hits your home! Sometimes getting sick is unavoidable, but it’s a good idea to teach your kids good habits and practice them all year long. Make sure they know how to wash their hands thoroughly, and have them do it even more frequently than usual during the winter months. 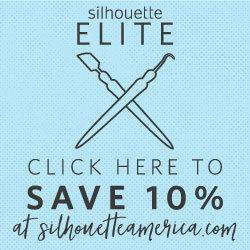 Remind them to keep their hands away from their face and out of their mouths. (Easier said than done with toddlers, but we can try!) Make sure every member of your family is drinking enough water, too! It’s a good idea to regularly wipe down surfaces in your home with cleaning wipes or a damp microfiber cloth, paying special attention to light switches and door knobs. Take this opportunity to stock up on basic household cleaners/cleaning wipes, tissues, hand sanitizer, and hand soaps. The LAST thing you want to have to do when you or one of your kids gets sick is make a run to the store for medicine – especially if it’s the middle of the night when a crying child appears at your bedside! Now is a great time to go through your medicine cabinet – check expiration dates and safely dispose of expired medication. You’ll want to make sure you have fever and pain relief medicines, decongestants, antihistamines, and cough medicines. 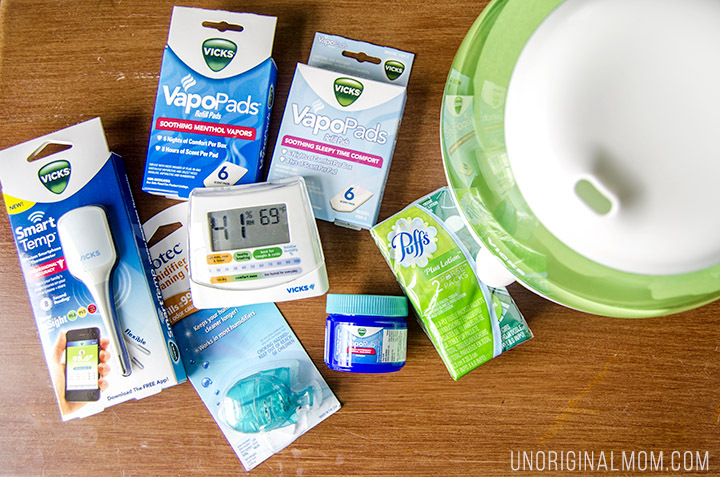 Other good things to have on hand are Vicks VapoRub, nasal sprays (decongestant and saline) and cough drops. Make sure you know the appropriate dosage for you and your children, and check with your doctor or pharmacist if you have any questions. Remember how I said the LAST thing you want to do when you’re sick is go to the store? That goes for the grocery store, too. You won’t be able to control what perishables you have on hand if/when you get sick, but it’s a good idea to make sure your pantry is stocked with plenty of drinks and comfort foods. Think herbal tea, fruit juice with vitamin C, sports drinks, ginger ale, Jello, crackers, popsicles, and canned soup. It can’t hurt to have a few freezer meals on hand, too – I like to make double batches of our family’s favorite soups and freeze the leftovers. That way, if you get sick too, you don’t have to worry about what’s for dinner. 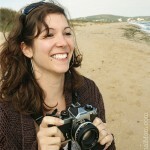 And if you escape cold and flu season without getting sick, you can reward yourself with a few evenings of not cooking! When kids get sick, there’s not much they feel like doing…but sitting in front of a screen all day long can get really boring. Browse Pinterest to find some age appropriate, easy and relaxed crafts or activities for your kids. Bookmark them and make sure you have the supplies on hand if you need them. You could also pick up a few activity books, stickers, coloring books, etc. to stash away for sick days. When you’re sick, especially with any kind of respiratory thing, a humidifier can make a BIG difference in relieving your symptoms. (And I am speaking from real life, very recent experience as I slept with a Vicks humidifier next to my bed every night last week due to a nasty cough!) In fact, The American Academy of Pediatrics recommends using a cool mist humidifier throughout the winter months to help relieve congestion and cough in children. 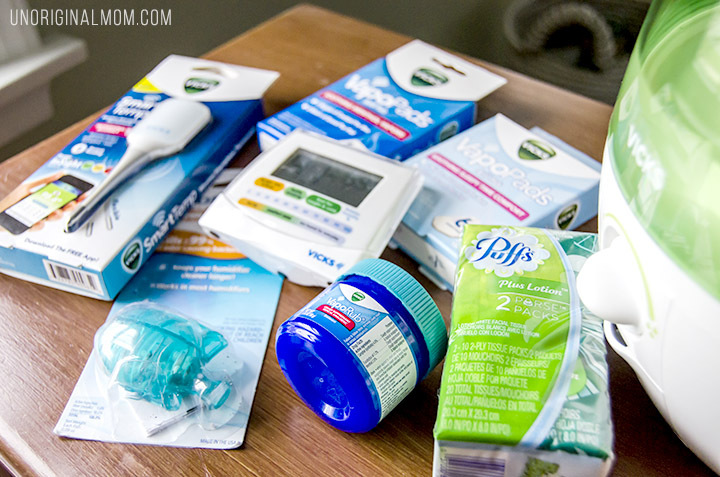 Vicks actually sent me a really nice care package a few weeks ago, and it’s definitely been well used around here! 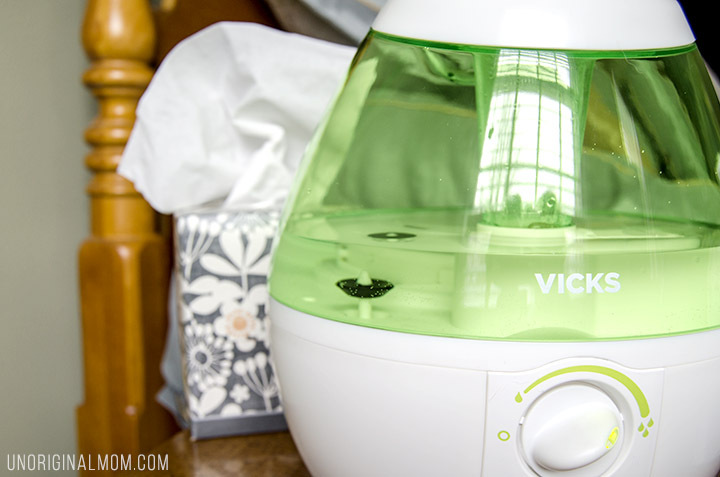 We already owned a Vicks warm mist humidifier and I wasn’t sure if we’d really need TWO humidifiers…until both children and I got sick at the same time. Yup, we needed it. I’ve been using VapoSteam medicated cough suppressant with a warm mist humidifier, and it has really helped me sleep better at night. I definitely recommend having a working humidifier on hand for cold and flu season. You can pick up a Vicks warm or cool mist humidifer at Walmart! I’m excited to be able to give away one of these fabulous Vicks Wellness Care Packages to one of you! That’s over $100 worth of stuff – yahoo! Be sure to enter via the widget below for your chance to win. This giveaway is open to anyone age 18 and over with a US mailing address – sorry, we are unable to ship to PO Boxes. Good luck! 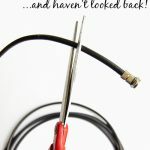 I hope you’ve found these tips helpful! Are there any other tips you have for preparing for cold & flu season? Leave a comment – I’d love to hear it! 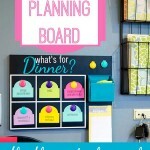 “What’s For Dinner?” Menu Planning Board – with FREE Cut File! 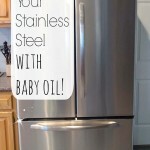 How to Shine Your Stainless Steel Appliances!